*** Free with your admission ticket into the fair. The Olson Bros Band burst onto the country music scene in 2013 when the won the Battle of the Bands at Capital Lake Fair in Olympia and also won a national songwriting contest for their hit song "Sunrise" in the Texaco Country Showdown The Olson Bros won $5000, a trip to Nashville to consult with a publishing company, and got introduced at The Grand Ol' Opry. The band originated in Olympia, WA and is led by singer/songwriters Luke and Isaac Olson. They are known for their tight brotherly harmonies and the fun energetic vibe they bring to their live show! They are currently playing shows all over the Northwest and Nashville, and are gearing up for a heavy 2018 tour schedule up in the Northwest where they play at country music festivals, weddings, concerts in the park, and Wineries. They have had the opportunity to open for some big time acts including Craig Morgan, Justin Moore, Sammy Kershaw, High Valley, Adam Craig and the list goes on! The Bros have recently been enjoying a little time on the radio waves throughout Washington for their new single "By and By" inspired by their travels on the road. Isaac and Luke love performing but also enjoy writing music and have spent some time writing songs down in Nashville, collaborating with some big name writers including Brandon Kinney (Who has written songs for Randy Houser, Craig Campbell, Cole Swindel and many other famous acts), Jodi Marr, and Canadian Country Star Johnny Reid. Their newest album "Let The Jack Drop", released March 2017 and is available on iTunes! 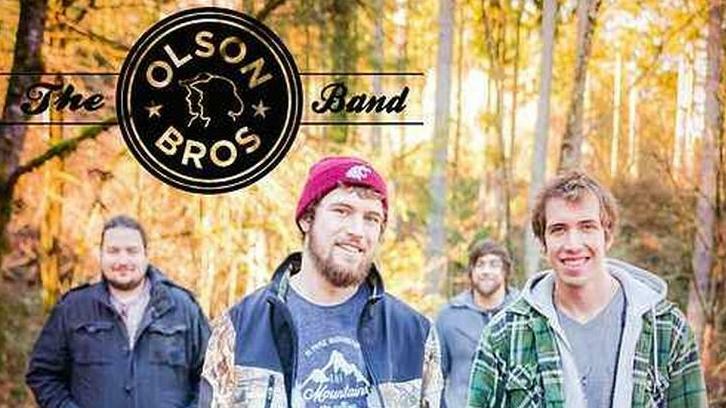 The Olson Bros both attended Washington State University which is where they truly started to find a deeper love for country music. Luke is now attending Belmont University in Nashville studying songwriting and making more connections in the music industry including interning with Desmond Child (Songwriter for Living On A Prayer) and writing with quite a few well known Nashville songwriters. The Olson Bros enjoy writing songs that are true to themselves, make people want to dance, cry, smile and/or just have a good time! Some of the bands all-time favorite artists include John Denver, Rascal Flatts, Zac Brown, Billy Currington, Darius Rucker, and FGL. They are currently gearing up for a big 2018 booking up a ton of Northwest and some Nashville dates for 2018!